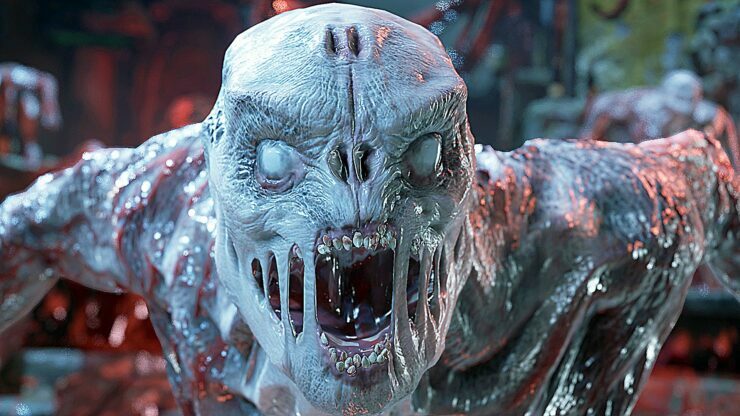 Gears of War 4 developer The Coalition managed to get the game running in 4K on the Xbox One X within one day with plenty of overhead left for improving the game’s visuals. “When we got our hardware, we had our game up and running on [the Xbox One X] the same day yeah”, Raynor told Major Nelson. After The Coalition had the game running in 4K there was enough overhead left for further improving the game’s core visuals, Raynor pointed out. “Multiplayer worked right out of the box, but the first thing we did was bump it up to you know 4k resolution, and we found that we had it running with more performance headroom on Xbox One X [than] it does at 1080p on Xbox One S so we’re able to use that additional horsepower to add additional graphical features to the game”, the technical director said. “We’ve enhanced our dynamic shadowing system, screen space shadows, [and] improved the reflections”. 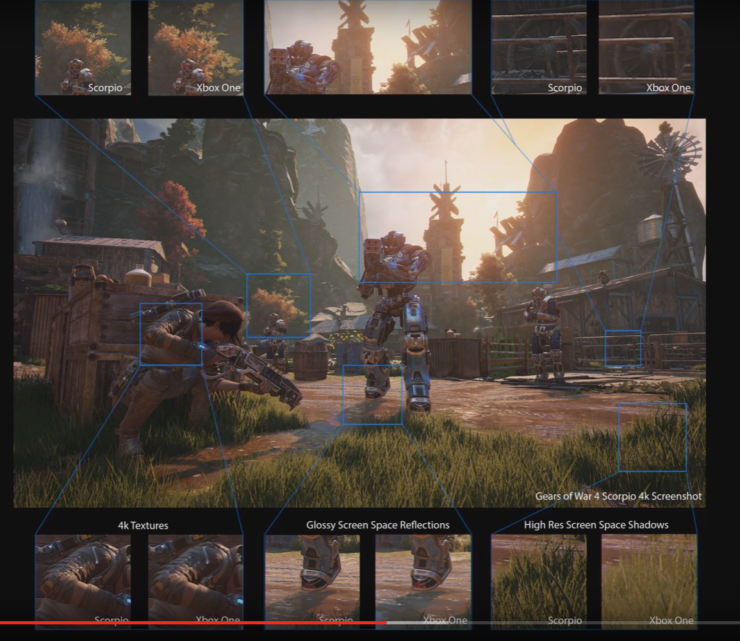 Raynor also added that the team was able to use high-resolution texture assets on the Xbox One X.
Microsoft’s unveiled the Xbox One X, previously codenamed Project Scorpio, earlier this week during its E3 presser. The enhanced Xbox One console is slated for a global release on November 7 for $ 499 USD.